Why are bulking agents used for stress urinary incontinence? Mentally-based urinary incontinence occurring with increases in intra-abdominal pressure is the sign qua non of stress urinary incontinence and results from urethral failure to resist increases in intra-abdominal pressure. The proximate cause may be related to poor anatomic support of the urethra and bladder neck; this generally responds well to pelvic floor resuspension procedures of various types. Urethral failure, however, may be also intrinsic, meaning the urethral closure pressure is inefficient at resisting increases in intra-abdominal pressures; this is generally treated with sphincter augmentation procedures, which include periurethral bulking agents . 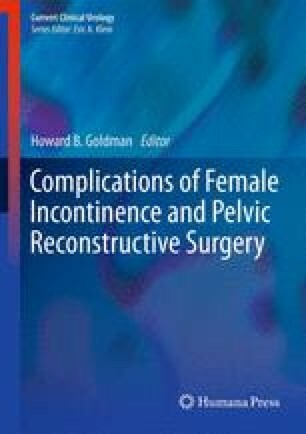 Of course, while there is considerable overlap between these two causes of stress urinary incontinence, treatment success with bulking agents used in the patient with predominantly poor anatomic support do not differ markedly from the treatment success in the patient with predominantly intrinsic sphincteric deficiency (ISD) [2, 3]. Conventionally, however, the use of bulking agents is more widely applied if the urinary loss related to poor urethral function without hypermobility.